Where were ya sleeping last night ? 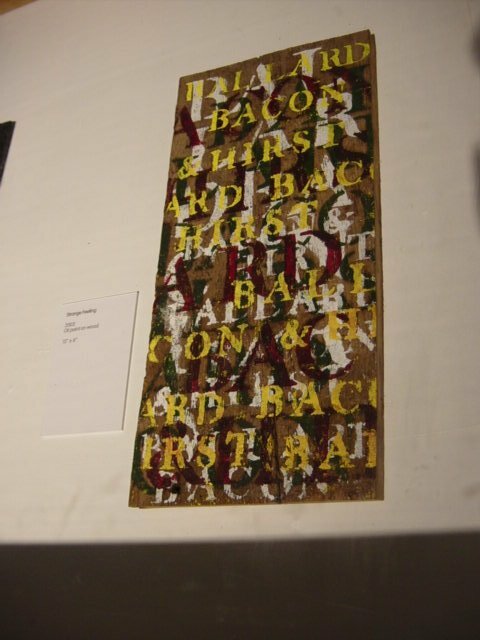 'Strange Feeling' (oak paint on wood, 14" x 6", 2003), from the Manchester exhibition, May 2004. The intro to Strange Feeling replicates Led Zeppelin's 'In My Time Of Dying', from their 1975 double LP, 'Physical Graffiti'. 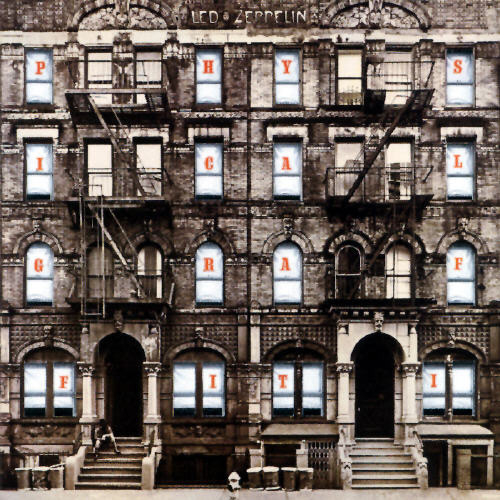 Physical Graffiti by Led Zeppelin.